Superdry women’s denim mini skirt. 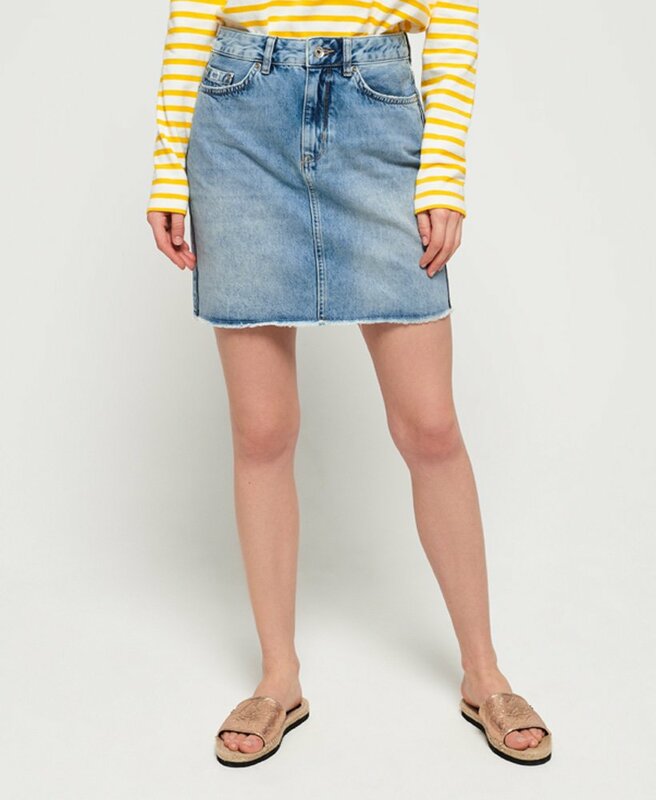 This essential denim mini skirt features the classic five pocket design, a Vintage Superdry logo badge on the coin pocket and an embossed leather logo patch on the back waistline. This denim skirt is completed with a distressed hem.